It's strawberry season! At our house that means strawberries are a common side dish at breakfast and lunch, and served as dessert after dinner. The best local strawberries are just a stone's throw from the mall found on the northeast corner of San Gabriel Blvd & Rosemead Blvd. Look for the signs with a big strawberry, drive into the dirt lot, check out the strawberries growing in fields and then hand over $10 for six pints of bright red, perfectly ripe, naturally sweet strawberries in a cardboard box. Six pints of strawberries is a lot of strawberries! Share with friends/family and experiment with new recipes! My strawberry creations include strawberry-lemonade, strawberry popsicles, strawberries dipped in chocolate, quasi-jam, and strawberries with freshly made whipped cream. 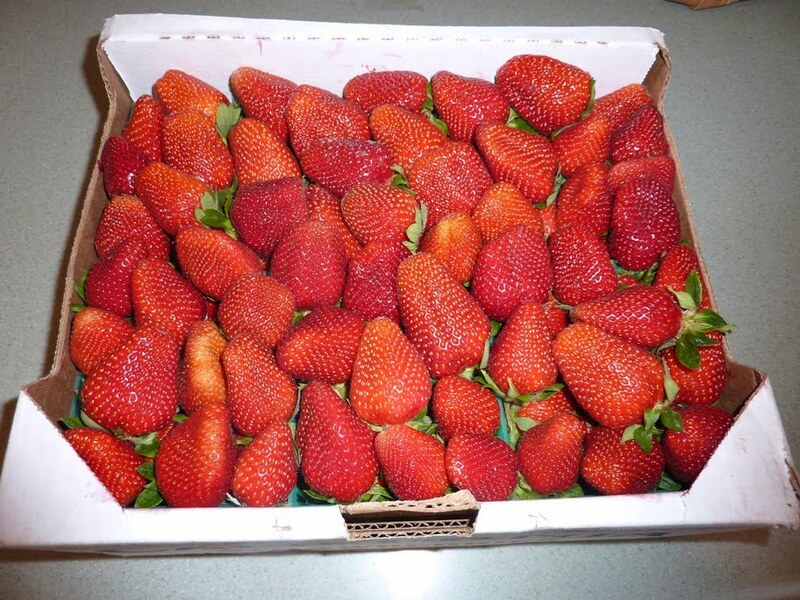 For a more in-depth strawberry experience make a trip down to Tanaka Farms in Irvine, http://tanakafarms.com It's quite a drive but a fun afternoon is guaranteed. For $13 a person you get an hour tour which includes a tractor ride, fresh from the field vegetable sampling, and 15 minutes to roam a strawberry field picking and eating as you stroll. Wherever you chose to get your strawberries, be sure to close your eyes and savor each bite. There is nothing like the taste of a fresh strawberry in spring. Enjoy!